Official figures are set to show that the UK's economic growth in 2013 was the strongest since 2007. Statistics about to be released will show that the UK economy grew 1.9% last year and will raise hopes that a sustainable recovery is under way. However, despite this bearing every appearance of being a triumph for Chancellor George Osborne and David Cameron, Conservatives were left fuming by Business Secretary Vince Cable’s hijack of their moment of glory. 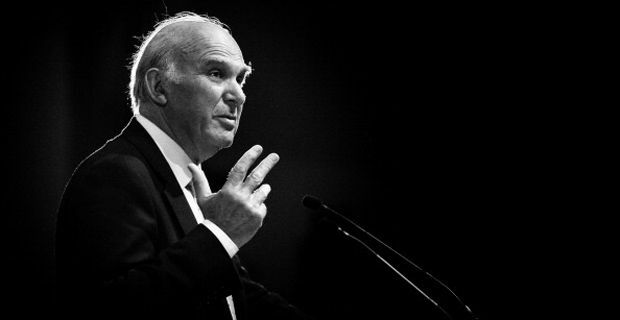 Vince Cable chose the eve of the announcement to criticise the ‘balance of the recovery’ and took every opportunity to paint his coalition allies in profoundly unflattering terms. He accused George Osborne of an ideology driven austerity agenda and distanced himself and his party from the Chancellor’s plan to extend public service cuts into the next parliament. "Some of the proposals to extend deep spending cuts on departments and welfare far into the next parliament have more than a whiff of ideology: slashing for its own sake" he said. He said: "There are different ways of finishing the job … not all require the pace and scale of cuts set out by the chancellor. And they could allow public spending to stabilise or grow in the next parliament, whilst still getting the debt burden down." He went onto warn of weak exports despite a 25% devaluation of the pound and of a potential bubble looming once more in the housing market, making clear that new homes needed to be built to avoid another crisis. He then finished off his potently timed broadside with a withering assessment of Conservative plans to hold a referendum on EU membership, saying the concern over it was "deeply unsettling" for businesses. With coalition partners like this – who needs an opposition eh George?